It appears that the track order is incorrect due to Big Break Records basing the track listing on the 1992 Unidisc release. The A/B-side order from the original LP and cassette releases was reversed on the Unidisc release. Hence, the B-side tracks were placed ahead of the A-side tracks on the CD; note that Unidisc was the first to (re-)issue this album on CD. BBR, having probably acquired the re-issue rights from Unidisc, simply copied the Unidisc track order. Matrix numbers were similar & both have the full length versions of songs. Best tracks: 'Make Believe Lovers,' which starts with a crazed breakbeat, then eases into a lovely, low-key penthouse synth-disco love jam, & Richie Rivera's Midnight Mix of 'Ring My Bell.' Middling: 'If I Could Feel That Old Feeling Again,' a piano ballad that improves as it plays, and 'There's No Doubt About It,' a pastoral midtempo orchestra thang with a cool chord progression. 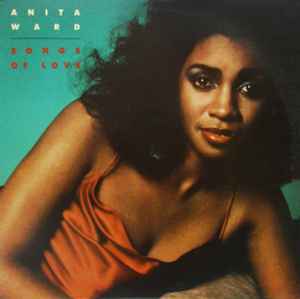 Ballads 'Sweet Splendor' and 'You Lied' are sorta nondescript, & 'I Won't Stop Loving' you suffers from the Minnie Riperton effect -- A.W. 's squeaking is almost comical. Which kinda breaks the babymaking mood of this LP.